Despite playing most of his career in major media markets (Philadelphia, New York, and Los Angeles), Bobby Abreu remains one of baseball’s most underrated players. seasons – including 2009 – he topped 100 RBI. Angels he hit .285/.390/.435 with 15 home runs and 103 RBI. He also scored 96 times and swiped 30 bases. 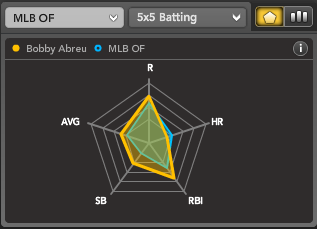 Still, Abreu does carry some concerns heading into 2010.
his lowest figures for any full season. batting average will likely remain playable. 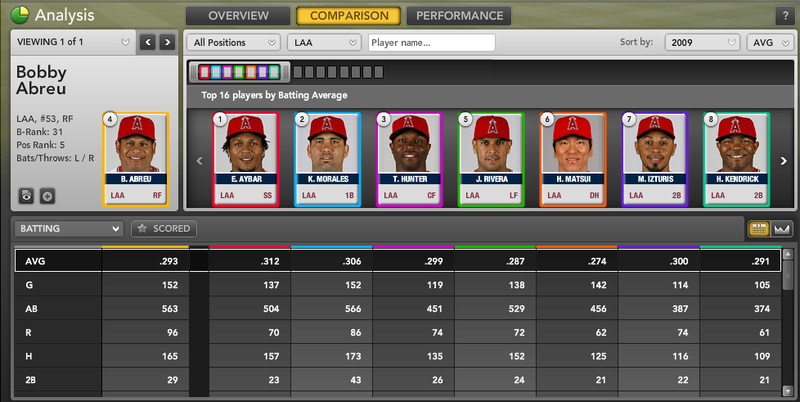 younger players like Howie Kendrick, Erick Aybar, and Brandon Wood. Those three players, along with Mike Napoli, Juan Rivera, Torii Hunter and 2009 breakout Kendry Morales, should continue to offer the kind of support that leads to solid counting stats. mixed leagues or the eighth round in 10-team mixed leagues. drafted 46 spots behind his Orioles counterpart. For more on Bobby Abreu, and hundreds of other players, check out Bloomberg Sports’ fantasy kits.